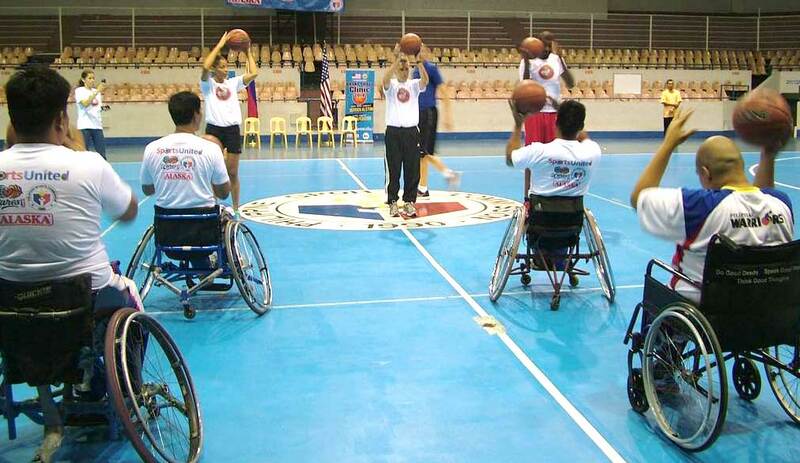 On August 10-17, 2014 U.S. Embassy Manila hosted two State Department Sports Envoys to engage youth and the underserved while promoting American culture and value through the universal language of sports. The visiting delegation included Allison Feaster, former player in the Women’s National Basketball Association (WNBA), and Derrick Alston, former player in the National Basketball Association (NBA). The State Department’s Bureau of Educational & Cultural Affairs organized an active week during which the duo led four basketball clinics for underprivileged groups, aided typhoon recovery efforts, and connected with athletes, fans, and local government leaders. 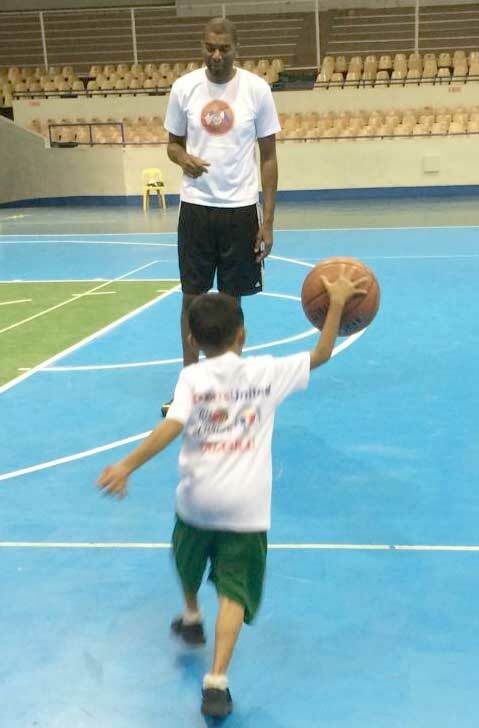 In partnership with the Alaska Aces of the Filipino professional basketball league and the Philippines Sports Commission, the Sports Envoys focused their efforts on vulnerable children and disabled players through clinics led by Feaster and Alston that exposed these young athletes to their nation’s favorite sport. This inspirational work spread to Tacloban, a city ravaged by Typhoon Haiyan, where Feaster and Alston led a commemorative tree planting for a new nursery at Philippine Science High School. The nursery will supply seedlings to coastal communities for environmental rehabilitation and disaster risk reduction. 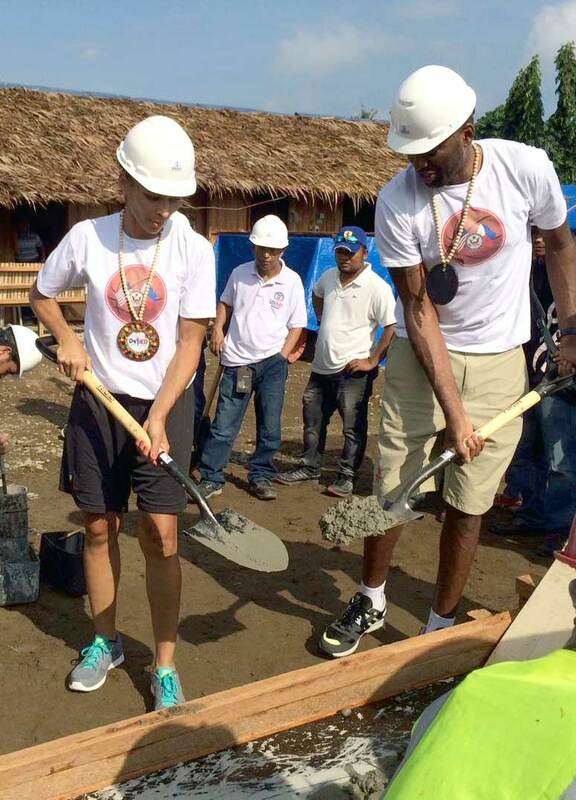 The envoys completed their busy day in Tacloban with pouring concrete for a new, typhoon- resistant school building and reading stories to elementary school students. As part of a joint program with the U.S. Agency of International Development (USAID), their efforts reinforced the importance of education and the U.S. commitment to relief and recovery abroad. Sports Envoy programs connect American coaches and athletes with young people and their coaches through sports clinics and community outreach activities that engage youth in a dialogue on the importance of leadership and respect for diversity.